Well, we knew this was going to happen eventually. A relatively lukewarm reception from critics and a far from stratospheric performance in terms of sales saw the 'return' of rhythm action games in 2015 fail to reignite the phenomenon the genre became in the mid '00s. 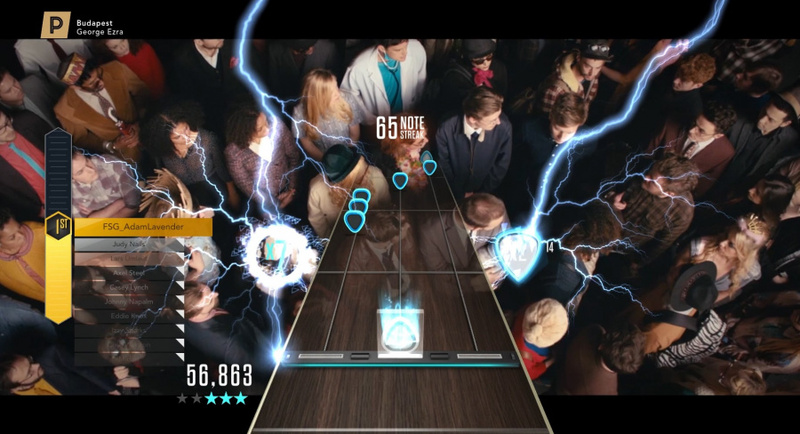 Guitar Hero Live at least tried to do something a little different with its adaptive filmed concert mode and rolling musical channels, but it's now been confirmed the latter will be switch off for good in December. 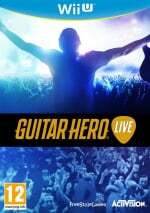 "We want to thank you for being valued fans and let you know that as of December 1, 2018, the GHTV mode within Guitar Hero Live will no longer be available to play. On that date, we will terminate the service for GHTV and servers will be shut down. Console versions of the GH Live mode will continue to operate as usual." Additionally, on June 1, 2018, all GHTV in-game purchases will be turned off. Players can continue to use their Hero Cash and items on hand until the GHTV sunset date of December 1, 2018. Thank you for playing GHTV, and head to GH Live mode on console to continue to play. I saw the Wii U version of this game in a store the other day being sold for $5 brand new, guitar peripheral and all. I was tempted, but I resisted, knowing that it would just collect dust. This news reinforces my decision. This is one of the biggest reasons why streaming is bad. This'll be the fate of games like RE7 Switch at some point. I thought Guitar Hero was gonna make a comeback for a second. But the era of buying a big clunky controller for one game is long in the past. But I remember being in middle school and playing it at my friend's house a lot. That and Rock Band. Honestly, if they brought back the series, true to form, I probably would buy and play it again. Even though I am ABSOLUTELY TERRIBLE at it. I assume this is for all versions of the game and of that is the case this is really disappointing, one of the things me and my bro used to do when I came over to his place is have a night long session of Guitar Hero TV, good times and another sign that points to the reality of games that have a critical online component. @NintendoFan4Lyf same here I thought it was dead already. As soon as I saw it was online and your relying on cough cough reliable activision I was stuff that Im out. @Heavyarms55 "But the era of buying a big clunky controller for one game is long in the past." I really loved it. Not enough video game players are of the musician type where, like me, they love it because for once it's super easy to play with 100% and not have to worry about minute details that ruin your playing. @thesilverbrick i saw it for 5$ and got it purely to have it and the guitar on my guitar stand on my wii stand. It was a fun idea, and I discovered some good songs through it. But it was slow and awkward to use. What a waste. @SomeWriter13 Well one big difference with the Poke-Ball controller is that it is very small. A problem with the Guitar Hero and Rock Band stuff was that it was all very large and awkward to store. My friend had that stuff piled in the basement of his home for years before ultimately giving it away to make space. The Pokeball at least can easily just be tossed in a drawer or something. The price tag will be a bit much for many people however, I am sure. Take note everyone. This is why it is a bad idea to spend money on online-only games. @Dpishere Yep. This is pretty grim news to me. Gonna miss times like those. The original mode isn't the same.